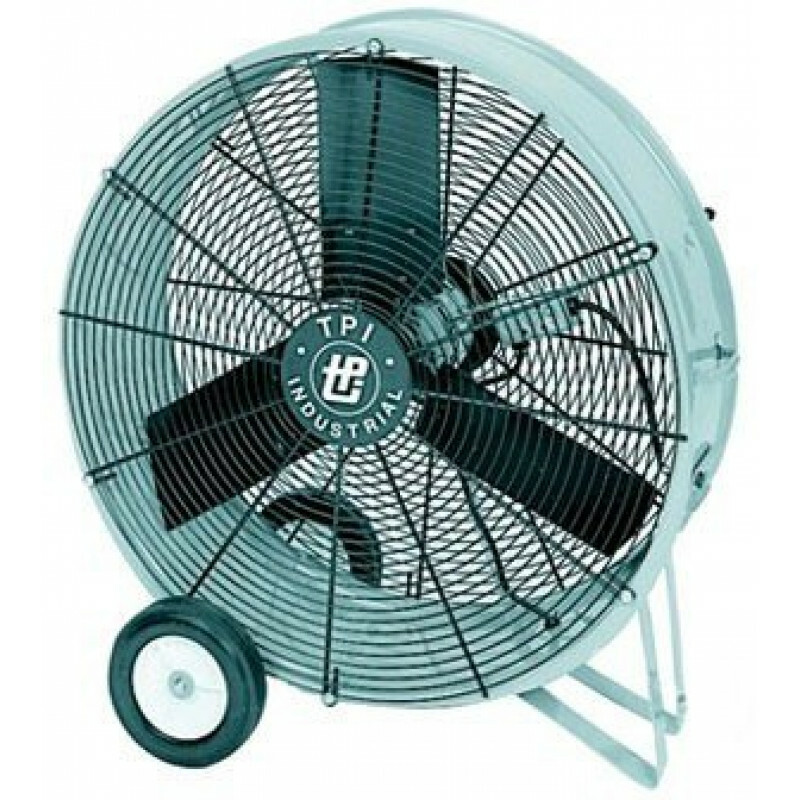 When you need a warehouse fan to cool down large areas, look no further than this 42 inch drum fan. It comes at a price that is hard to pass up, considering how much air it moves. With a rate of 15,600 CFM or air flow, it is one of the most powerful barrel/drum fans we have available. For more economical models, feel free to take a look at, and compare our 24" air cooling drum fan, and our 36" portable barrel fan. For a fan that is built for commercial use, it is surprisingly easy to move. The rear transport wheels are at a great pivot point, making it easy to tilt this 102 lb. fan back and maneuver around your warehouse. The 8" rubber wheels provide a great base for rolling over cords, entrance ways, or any other type of minor obstruction in your path. 15,600 CFM of air movement makes cooling large areas like a warehouse easy. Pulling 6.0 amps allows you to hook up multiple fans on the same electrical circuit. Corrosion & dent proof housing with spiral steel wire guards protect interior fan blades. Ball bearing, permanently lubricated, PSC type motor with rocker switch on powder coated 20 gauge steel fan housing. Meets federal OSHA requirements and is UL approved. 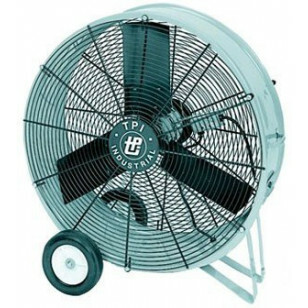 This is a review for the 42 inch Warehouse Drum Fan .